Two years ago I finished reading War and Peace by Leo Tolstoy, a masterpiece of Russian literature and one of the best books I’ve ever read. It was one of the first items on the bucket list I started making when I turned 40, and I was ecstatic to have completed it. It took me about a year and a half to finish the book, and I wholeheartedly agree with Pevear’s assessment. Long after I finished reading War and Peace, my heart ached as I missed being part of the characters’ lives. One thing I noticed in particular was that Tolstoy was very good at showing exactly what the characters were feeling and thinking, making it easy to empathize with them. In a previous blog post (From the Land of Living Skies to the Lake of Shining Waters) I talked about Lucy Maud Montgomery’s talent for using words to paint a picture of outdoor landscapes. Well, I would venture to say that in the same way, Tolstoy was extremely skilled at using words to paint the internal landscapes of the mind, heart, and emotions. I could go on and on, but I’ll leave this topic for now. 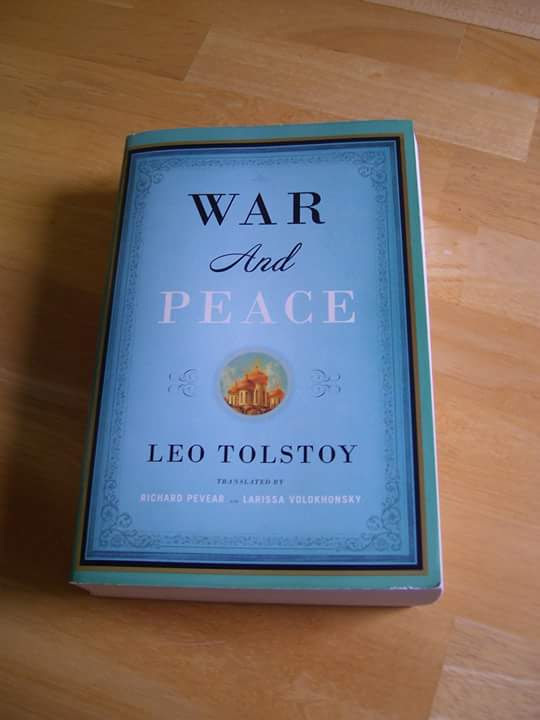 If you haven’t already done so, I highly recommend reading War and Peace or any other treasures of Russian literature. 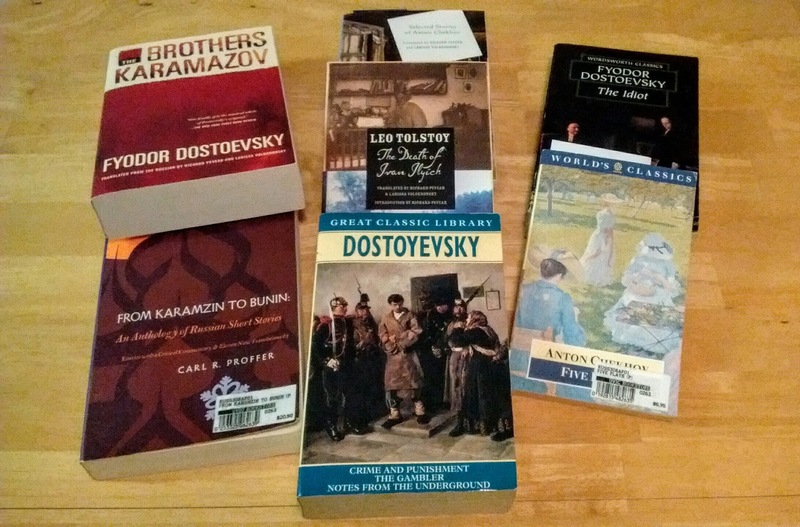 Richard Pevear and Larissa Volokhonsky have done a great job of translating almost all the classics in a vibrant way that stays true to the original Russian without sounding dry or stilted. Jena, you are absolutely right about both of these books. I am not a person who paints with words. I Cannot debate and bring up examples and paragraphs. But as for feeling lonely once the book was over I can empathize. My favorite books are from times, fictional or non fictional, that take me to some where I cannot ever go. For obvious reasons I cannot go back in time to watch this story unfold. But I do feel as if I have learned something about real history non the less. The books I enjoy most are from authors who are not with us. Preferably written in the century that the story is taking place in. I feel many new authors do tend to”paint with their words” as well. Newer books about today's issues take a lot for granted that you know what the area looks like our You know the back story. But I have found two of my very favorite authors who are alive! Ken Follett and Phillipia Gregory (not spelt correctly). They have both devoted their lives to history. Phillipia's books are about royalty in the 15, 16 centuries. And she has Done extensive exhaustive Research about the period and Ken has a couple from the dark ages and focuses on feminin heroines, based off of bits and pieces of real women. But his Fall of the Giants series iis the one that hooked me, beginning in approx 17 century Europe, America,and Russia. It files 5 families through to 1989.. All of it is based on real history, with their trials and tribulations, I was able to continue on with their stories for many different generations of families and immerse my self into the non fictional history. Once I was finished the third book and it wrapped up well, with out leaving you feeling empty, I was extremely sad to bid Farwell. I would revoked this series to anyone who enjoyed War and Peace. Of course it doesn't come along with the pomp and fan fare of War and Peace, but it hasn't been around for Centuries either. I would hope that in a100 years or so it will be up there as a top 50 books to read! (Along with Game of Thrones, lol) which I believe to be a modern day LOTR! And that Martin will go down in history as Tolstoy did. Sorry. I had to add that in there just to store that I love a fantasy every now and then!